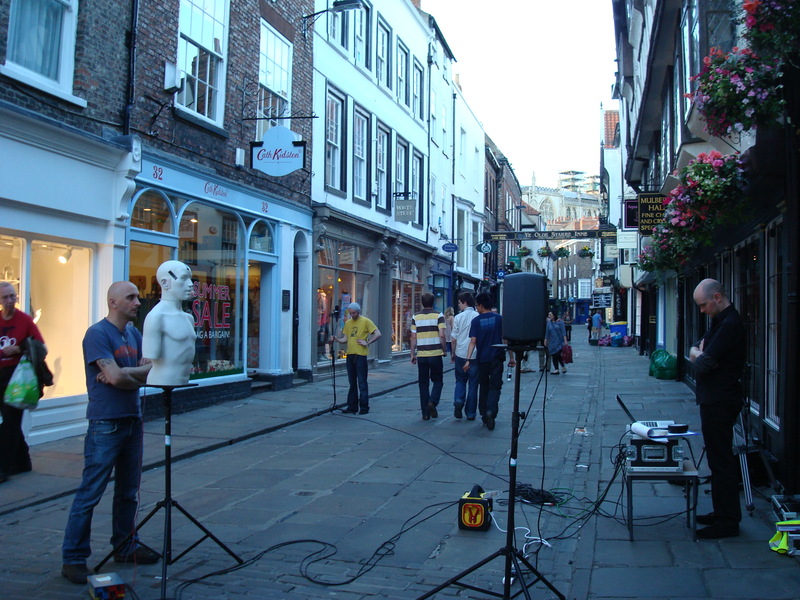 ‘Hearing the Mystery Plays’ is a sound installation resulting from research into the acoustics of the performance spaces of the York Mystery Plays. The installation explores how the acoustics of the street spaces and different staging configurations might have affected the spoken and sung items of the plays. This project uses virtual models to study the acoustics of Stonegate, one of the performance spaces of the Mystery Plays. Stonegate was chosen due to the state of preservation of its medieval dimensions as well as the survival of timber-framed structures dating back from the fourteenth and fifteenth centuries. 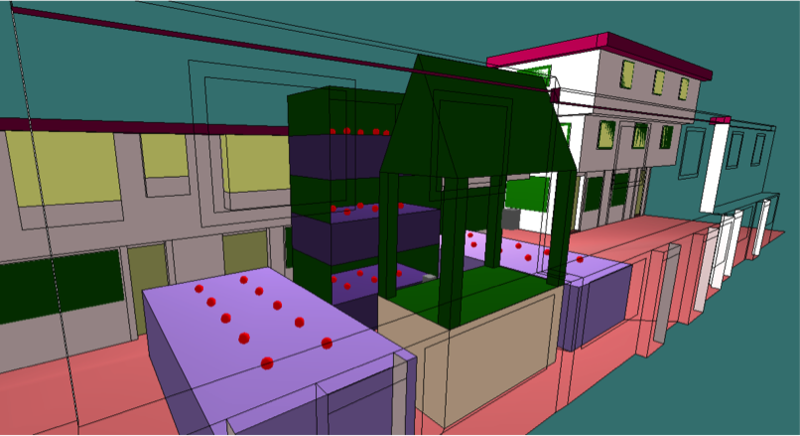 Such state of preservation allowed the use of acoustic measurement techniques on site prior to the design of the virtual models, allowing the validation of the virtualisation process. Acoustic measurements are conducted by playing an excitation signal and simultaneously recording the response of the space to the signal via a microphone.